I love registries. While Mr. Narwhal and I tend to stick with cash for the wedding gift, I always make a point to buy off of the registry for a shower. This is actually been a point of debate between Momma Narwhal and I for years. She likes the element of surprise when gifting, and I argue that when you're dealing with many gifts, it's nice to be able to contribute towards something versus getting a gift that might not fit into the couple's home. Unless you know someone really well, I personally think it's always safe to err on the side of registry. As soon as we got engaged, I started keeping track of things that I wanted to register for on our traditional registry. I knew my bridesmaids were planning on throwing me a shower, and we definitely had our share of things that needed upgrading. 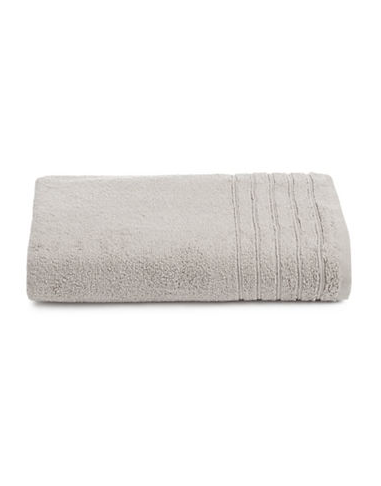 Hello university towels, I'm looking at you. I was very excited for the day that Mr. Narwhal and I would get our hands on that scanner gun. He wasn't exactly comfortable with the idea of a registry saying we didn't need anything. I kept telling him we only get married once, and the registry is a guide that guests appreciate, and we would only be register for things we would use, and things that arguably needed to be replaced. My issue leading up to registering was where. To my American bee friends, you seriously do not realize how good you have it! In the small town circle, it basically comes down to The Bay or Sears. In terms of options The Bay certainly has the monopoly in this situation, and after endless research, we too settled on The Bay. Mr. Narwhal and I planned to do our registry when we were in Barrie for the day while Nelson had a scheduled operation (poor Nelson lost his manhood that day). We had an entire day to spend in Barrie waiting for Nelson so it was the perfect day for it. I made an appointment at The Bay at the Georgian Mall, and we met up with our consultant Nora. Nora was pretty great, she explained the basics of the registry, what was recommended and handed over the scanner gun. We had a pretty set list of what we were going to register for, not to be swayed by the suggestions of registering for a ton of things we didn't need. Mr. Narwhal was right, our home functions pretty well with what we have, and we would be registering for things that were in serious need of an upgrade, or things that would be really nice to have and would be used a lot. Our scanning experience was fun, but also not exactly as fun as I was hoping. Mr. Narwhal and I had a great time together, and we registered for some of our list, but the store didn't have everything we were looking for, and after a couple of hours we certainly lost steam and were in serious need of a meal. The Bay's registry site is quite outdated in terms of ease and efficiency, and we were left with finding a good portion of our list online. After going through our registry initially we realized that it was pretty skewed in the $12-$30 range, with one or two items priced item at the time was $200. This is when I realized that I too, wasn't very comfortable with the whole traditional registry process. It was so hard to ask for something high quality, when I've been managing just fine with inexpensive/mediocre quality items for so long. After a pep talk from MOH L and Cass, they explained that people like guidance, and I should stop worrying so much about the cost, and register for the high-quality items that will last us for many many years to come. People would buy what they felt comfortable with buying. So after many hours navigating The Bay site, our registry is basically done. I'll file that one under wedding planning things caused a surprising amount of stress. In the spirit of ending things on a high note, I thought I would share the items we prioritized and are most excited about on our registry. Most of our sheets are quite old, and all of our towels have definitely seen better days. We registered for the Hotel Collection in Mercury for our towels. With the exception, we have to sweep our floor 2-3 times a day to keep up with Nelson the dirt tracker. 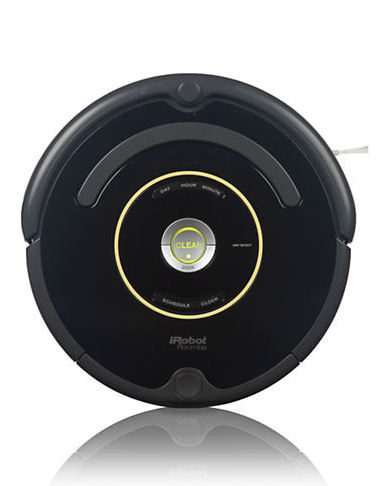 Basically a Roomba would change our life. As coffee lovers, this would be a very welcomed addition to our home. 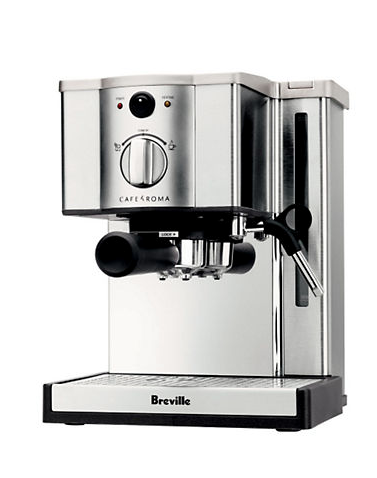 We registered for a Breville Cafe Roma Espresso Maker. 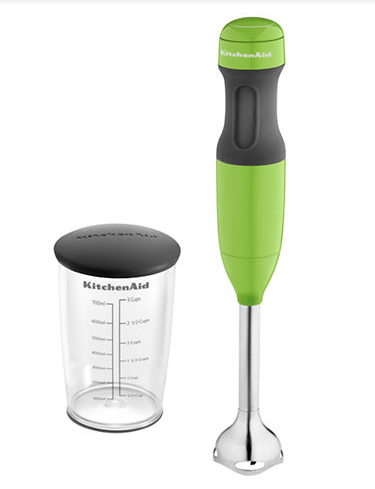 Since I love cooking and trying new recipes and Mr. Narwhal likes to eat them, we were both pretty excited to register for a variety of kitchen gadgets. It took me about two months before I could stomach putting anything Le Creuset on the registry. Did you struggle with making a registry? What was the best thing you registered for?